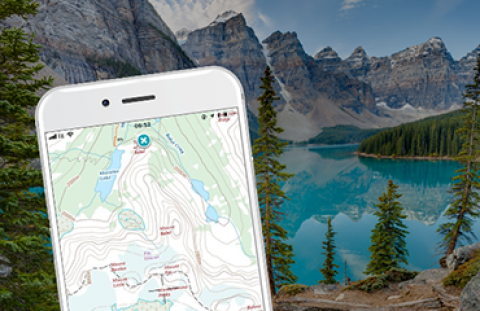 ViewRanger, a pioneer in outdoor GPS navigation and augmented reality, has released Canada Premium, a new subscription providing unlimited access to offline topographic maps for Canada on smartphones, smartwatches, and tablets. See detailed terrain, peak names, trails, contours, rivers – and more! Explorers can try out Canada Premium for free for 7 days. After the trial period, Canada Premium costs $6.99 CAD per year. In addition to an active community of more than 3.8 million registered explorers, ViewRanger is used and trusted by more than 350 search and rescue teams worldwide. And, publishers and outdoor writers around the globe post their top outdoor activities to the ViewRanger platform. Download the latest version of the free ViewRanger app from Google Play or the Apple App Store. Then launch the app to try Canada Premium for free for 7 days. ViewRanger runs on Android and Android Wear devices, iPhone, iPad and Apple Watch.